I recently read an article published in The New York Times, Sunday edition Opinion section entitled “No Turkey Here” by Mark Bittman.Â It can be found online. 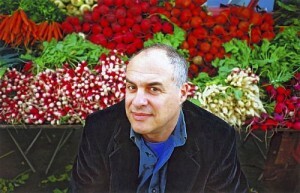 In it Bittman takes time to make note of the many efforts that are being made by people and organizations to address natural food and the surrounding issues of sustainability, farming and all things related to improving our nations direction towards developing a more healthy food culture. It is chock full of helpful resources from books, organizations, lobbyist and those people connecting communities to these issues.Â I found myself underlining and circling every other paragraph with an interest in following up on someone or something worth noting as it relates to food and nutrition. Bittman begins with naming someone who is most apparent to anyone who has read anything about food as it relates to the political game about how policies are developed in government that of Ms. Marion Nestle.Â I have read her book â€œFood Politicsâ€ which introduced me to how the food pyramid was first developed, the powers of congressional lobbying and the dairy industry and those parts of our agricultural system that leave us asking ourselves who really is in charge of what and how we eat.Â She is a must read in the field and seeing her name beginning the list of over 20 people or organizations Bittman makes note of started me on the right track.Â I found myself circling â€œJust Label Itâ€ an organization focused on improving food labels. Also Bill Marler who works as a lawyer trying to make sure the food that is grown is kept safe for our consumption.Â I couldnâ€™t help but make note of as educator at the name Ann Cooper and Kate Adamick who are actively steering the way towards petitioning and creating new laws governing school lunches. These are people worth following up with as a measure of good faith and cause for what if it has not already been recognized personally how and what you eat.Â Sitting and eating our â€œorganicsâ€ or making healthy food choices for ourselves is one thing, it is another to make sure we are educating and empowering ourselves and others through supporting organizations and individuals efforts to ensure â€œchoice+food=healthâ€ is sustainable.